Let’s say you want to call someone. You dial the correct numbers but they are in the wrong order. What happens? Even though you have the right digits, the sequencing is incorrect. So, the call does not go through. This analogy (given recently in a great interview with Tony Robbins and Tim Ferriss) shows us, the order you do things in is important! The order you do things in when getting your coaching business online makes a big difference too! The right steps in the wrong order will slow you down or may even make you decide to give up on your business too soon. But the right steps in the right order speed to you toward a coaching business that is fulfilling and successful (whatever that word means to you!). 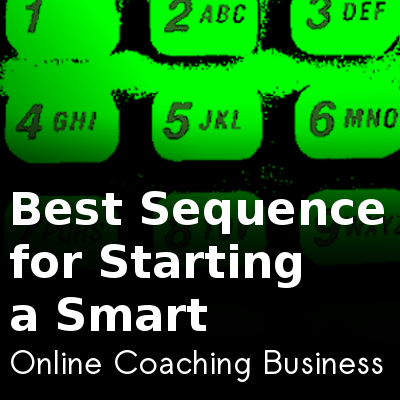 Every 6-months I teach what I’ve found to be the best sequence for starting a smart online coaching business. But since I only take a few coaches for each intake (in Feb and Sept), and I really want to help as many coaches as possible, I figured I’d share the sequence with you so you can get started on the right path, right now. Big Picture: What’s the point? Without solid foundations, you have nothing. As coaches, we know that personal values and vision are one of the first steps, when it comes to helping our own coaching clients. But we often overlook it when it comes to ourselves. So, I invite you to take some time out to consider what your coaching business really does for you personally. Learn more about the difference between a personal vision statement for your career/business life area v.s. a business vision statement here. What does my coaching business currently give me? What’s missing? What does my dream life look, sound, and feel like and how does my coaching business help me manifest this? Once you are clear on what your coaching business gives you, it’s time to get totally clear on your niche and your ideal customer. Who do I love helping the most? Get as specific as you possibly can. Describe: attitude, needs, personality profile (if you use one), gender, stage in their development etc. What problems (that clients know they have and are willing to pay to fix) do I love to help people solve and I’m naturally good at? Your coaching product offering can go from being vague (like lots of other coaches out there) to specific, original, and stand out. You instantly become more expert because you narrow and deepen your focus. You also save money on marking your business because instead of marketing broadly to everyone, you target a specific type of customer only. Marketing becomes easier and for those of you who are suffering, it no longer feels sleazy. You see the value you have to offer. Now that you’ve got a niche and your ideal customer in mind, it’s time to outline a 6-month to 1-year coaching program for your coaching business. The main reason to do this at such an early stage is really for you to prove to yourself that you have what it takes to do it! There is nothing that drives your motivation and confidence more than having months of coaching content – that delivers real, tangible results – up your sleeve. Once you’ve finished outlining your program, its easy to decide which products you should create and sell online. There are 4 levels of products for you to choose from. I recommend having level 1 products (to gain followers) and level 2 products (to earn passive income) at the minimum. You can always add more products at any of the product levels as your coaching business grows. 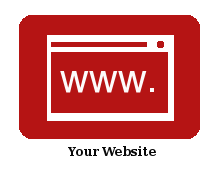 Setting up your website has it’s own special sequencing. For the steps check out my article on the 9 Essential Technologies for Your Online Coaching Business – start with technology #1, add on #2, then #3, then #4 and so on! Just one step at a time in the right order and what seems complex becomes easy and very doable! Here is the minimum content I’d recommended you have on your website when you launch. A freebie that people download in exchange for joining your email list. About page with a picture of you. This page must express the best parts of the real you! A few articles (also known as ‘blog posts’). Choose articles that cover core content that your audience really needs to understand. Use your program outline (from Step 2 above) for topic ideas then write the abridged version. Make sure your articles are helpful and compelling as they are each an example of your skill and generosity. So, your website is up and running, now what? You can do this by promoting your freebie on your business cards and mentioning it in all of your public speaking engagements. My favourite promotion option is through paid advertising. It does not take much of your time and you reach a global market. And, yes, it’s good to pay to get people on your list and build a valued, trusting relationship with your list over time. When your products are ready, you can email your list and make sales from day one. It is true that the bigger and more targeted your list is, the more you sell. In the background of getting your website ready, hopefully you’ve been chipping away at your first product. Maybe it’s an ebook (get some tips on writing your ebook here), a simple little kit (like my Coaching Tool Kit) or an full program (like Coach Kick Start). It does not matter what it is or how much it costs. Get it done and add it to your website. The first morning you wake up and see that you made money coaching while you sleep, you’ll be hooked! Add another info product or an online coaching program. Keep adding products until you feel that you have a good mix for your audience (see Step 1). What you should aim for is at least one affordable entry level product, working your way up to a high-end exclusive VIP coaching program. I’d stay away from selling vague, one-on-one coaching sessions (e.g. one client for 3 – 12 sessions). Instead focus on getting 5-10 people on at the same time to work through your program (see Step 2). Charge $99-$300 per month and pack heaps of tangible value in to the program. When you do this you’ll have a predictable income from your business and a focus that will make you a better coach! You don’t start a coaching business for the money – you do it to have a fulfilling life. Once you figure that part out, money comes naturally. Move your business forward in some way every day (except weekends and holidays – because breaks are important). Let go of needing to do it ‘right’ according to someone else’s standards. Turn off all the noise and external influences that make you feel fearful about your ability to build your dream coaching business. You can do this! YOUR way IS the right way! Find your way and trust yourself. No matter what, just keep going. Running a coaching business is a long term project and long term commitment is needed to see it through. And just in case, you want more to read, here are some tips on, How to Conquer Uncertainty and Procrastination (when building your dream coaching business). Just keep going. If you love coaching, you CAN make it work for you! I’d love to know what additional steps or advice would you like to add into the mix? Please add them into the comments box below. Hi Benay, you have made very nice and comprehensive article that is realy good start on thinking how to start! Must read for all of us who are starting! Thank you! While I am not a coach, I think that this list would be perfect for any business start-up. Whether it be blogging (like me), coaching, or whatever area one can think of. I especially love the last tip encouraging us to just keep going. That is the most important part I think. If you can do that, you can accomplish anything! Thanks for the great article Benay! In Rich Dad Poor Dad, the author, Robert Kiyosaki, talks about the 4 quadrants of investing. Starting a business is one investment quadrant. He says, “investing is boring”. What a comforting thought. I’ve interpreted this as, choose your investment vehicle, set your course and keep at it. When I’m struggling, I remind myself that this is suppose to be boring and try to get back to that – LOL! Thank you Benay. I was a therapist for many years and am now a coach in the area of substance abuse recovery and family issues. Time Marches On and I need to find a way to do what I do four more people and less hours one-on-one coaching takes. A computer literate and that’s about all so I’m starting a new learning curve and it’s exciting. And it’s terrifying. You have given me a framework for starting a new life. Thank you. Hi Benay – I stumbled upon your blog while looking for basic info in starting an online coaching service. This takes what was a big, overitask and makes it bite sized. I will review your site for more content. Thanks! So I have a divorce coaching business. I have created tools for parents that no one else has. I was in the family court system for 18 years ad have a lot of advice to give. What is the best way to market? Wow Deanna – that REALLY DEPENDS on so much! Like your personal preferences, your business goals and your budget. BUT everyone should at least have a website, with a freebie. For you I’d suggest a check list or simple tool that helps people in the early stages of the divorce process – to get them onto your email list. From there demonstrate (via email) that you are the person they can trust to get them through this phase in life. Get that working first then drive traffic to your freebie. Try Google adwords – could be a good fit for your niche. 2. Life skills coaching for international students (I currently teach at college). Please advise mehich one is better idea? or can I do both at the same time? Hi Kim. Happy to hear that the article helped. I think the best thing you can do is start coaching people on both topics. This way, you are moving forward (and not procrastinating) AND building experience. By keeping moving forward, your path WILL reveal itself. I recommend some of my podcasts for you too: Both from Nicola Grace (one is out now and the second will be out first week of October 2017). Plus the episode with Denise Duffield-Thomas will help – we kick off talking about how she found her niche. If you want to do some structured market analysis, check out a book called, “Will it Fly”. I forget who it’s by but it will come up if you do a quick search on the title. Hi Benay- thanks for putting this post together. I am trying to start a Business Analysis mentoring/coaching program. I didn’t know where to start and what to do. With all the knowledge in my head and specific toolset and techniques we use in our job, it’s hard to put it all together meaningfully. 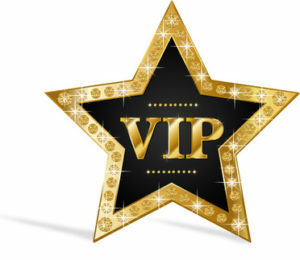 I believe it getting it right and adding value and coming to your post, I can see some light at the end of the tunnel. Is there a way to integrate all these learnings into the business analysis field? Hi Benay. Thanks for writing this article. I am in the beginning stages of creating a coaching business. I am hung up on trying to create something different from the other coaches out there and have not chosen a niche thus far. With all of this, I don’t want it to be the reason why I can’t get started in this business. I love helping people and have a helping profession background, but still cannot seem to choose how I want to approach coaching. I just don’t want to fall into the same bucket as the life coach or the business coach etc. Is there any way you could suggest some resources for me to help me with this? Thanks in advance. Check out this article on Niches, you would also LOVE my Finding your Coaching Sweetspot Workbook that is a part of my Next Gen Course. If you feel like you’d also like to talk with me, I can offer your a 30 min discovery session, where are you based? Loved your article and buding a comprehensive coaching system is exactly what I need. I would love to learn more how you can help me. Best, most realistic, helpful, valuable article I have read on the subject. Others have made me feel overwhelmed and ill-equipped. Thank You, Thank You! !